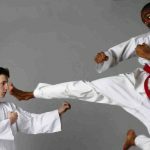 The emphasis on speed and agility is a defining characteristic of taekwondo and has its origins in analyses undertaken by Choi Hong Hi. The results of that analysis are known by ITF practitioners as Choi’s Theory of Power. Choi based his understanding of power on biomechanics and Newtonian physics as well as Chinese martial arts. For example, Choi observed that the power of a strike increases quadratically with the speed of the strike, but increases only linearly with the mass of the striking object. In other words, speed is more important than size in terms of generating power. This principle was incorporated into the early design of taekwondo and is still used. 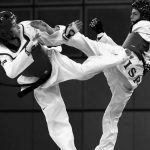 Choi also advocated a relax/strike principle for taekwondo; in other words, between blocks, kicks, and strikes the practitioner should relax the body, then tense the muscles only while performing the technique. It is believed that the relax/strike principle increases the power of the technique, by conserving the body’s energy. He expanded on this principle with his advocacy of the sine wave technique. This involves raising one’s center of gravity between techniques, then lowering it as the technique is performed, producing the up-and-down movement from which the term “sine wave” is derived. 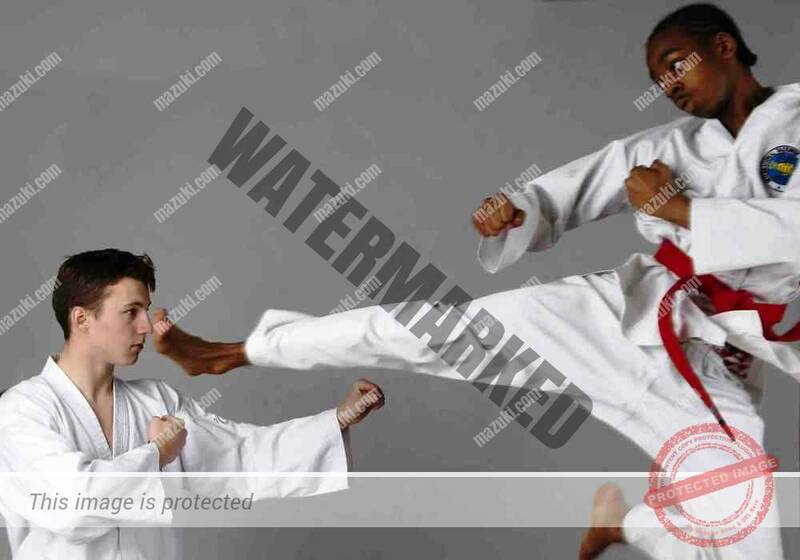 The sine wave is generally practiced, however, only in schools that follow ITF-style taekwondo. 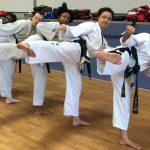 Kukkiwon-style taekwondo, for example, does not employ the sine wave and advocates a more uniform height during movements, drawing power mainly from the rotation of the hip.